Three Unclean Spirits Like Frogs……. – I Am Not Ashamed Of The Gospel Of Christ! Home › anti-christ › Three Unclean Spirits Like Frogs……. Three Unclean Spirits Like Frogs……. 15 Behold, I+ come as a thief. Blessed is he that watcheth, and keepeth his garments, lest he walk naked, and they see his shame. 16 And HE+ gathered them together into a place called in the Hebrew tongue Armageddon. We are in the Perilous Times! The cheapest thing going is human life… whether the infant in the womb or the aged and infirm. The kings / rulers of the earth are threatening horrible WAR on the human race, war that could wipe out much of the Adamic race. Unclean spirits are controlling men and women who are in places of authority. Death is colliding with death and roaring out its fury at the human race. Billions and billions of dollars are spent on armaments that can destroy large portions of people who have nowhere to run. These same people can barely keep enough food and necessities for themselves and their children. But the “War god ” demands servitude. War is Good for Business! One MOAB bomb costs 30,000,000 dollars! The missiles that were released on Syria for a gas attack done by the U.S.-backed jihadi rebels cost 100,000,000 dollars! But the ” War god ” must be served. What does matter is that the OIL FIELDS are controlled and confiscated, of course, for the good of the nation and humanity. Not true of course. It is for the deformed “Oil monsters” who are running the nations and their harlot governments. Lies, lies, lies, pouring out of the City of Ba’al in Mystery Babylon. War with Russia, war with China, War with Iran too, War with Somalia … we must not leave anyone out. 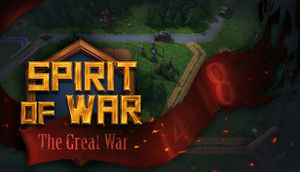 Unclean spirits have gone forth across the earth and are whipping the leaders of the world into a frenzy of war fever. Kill the enemy, kill the infidel, kill everyone, we must control everything and everyone. Many Scriptures are being fulfilled. More will be fulfilled in the near future. Keep your eye fixed on HIM+ Who+ knows the end from the beginning. Remember: the armies of the nations will attempt to make war with the LAMB+ at HIS+ Return. They are building up for that even now. “Those who take the sword will die by the sword.” This is what The LORD JESUS plainly said. Whose sword is it ? The enemy’s well-equipped military ? There is ANOTHER SWORD coming that men are NOT PREPARED TO SEE: It is that DIVINE SWORD which proceeds out of the Mouth of The LAMB+. HE+ will wield THAT DIVINE SWORD at HIS+ Return in Power and Great Glory with legions of Warrior Angels to put an END to man’s fighting and killing each other and crushing the meek of the earth. Everyone, keep your eyes open and and focused on the SON+ of GOD . HE+ is your Life. We are in the perilous times. We are in the days of Noah. Keep us we pray in these fearful times and help us to stand firm for your Beloved SON+, our LORD JESUS CHRIST, YESHUA+ ha MASHIACH, and to overcome all things through HIM+ in the Strength of Your Blessed Holy Spirit. In HIS+ Name we pray. Dear Sister, Thank you for sharing. Bless you. Watchman73, Thank you for sharing. Thank you for writing an excellent article! God bless you! Thanks for speaking the truth in love – it’s very disappointing that so few Christians are giving warning & continuing as though all is well – when clearly all is far from well! Elizabeth Slaughter. Thank you Sister. May The LORD+ Bless you and keep you safe in the storm. Amen, thank you! This verse recently came to me also. This is confirmation.